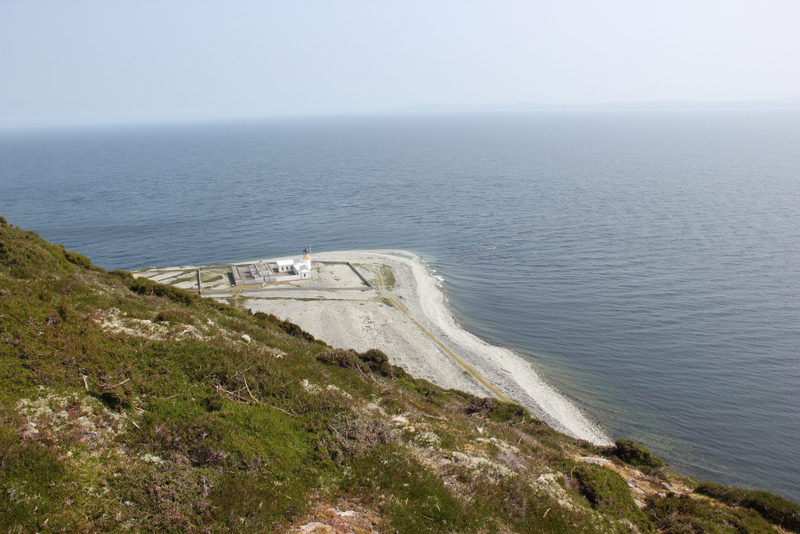 Ailsa Craig is an uninhabited island located approximately 10 miles from mainland Scotland in the outer Firth of Clyde. 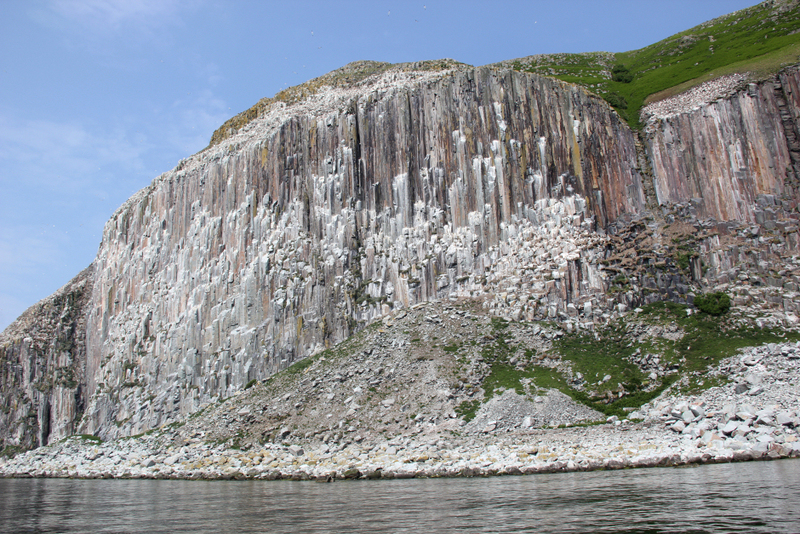 It is formed from the volcanic plug of an extinct volcano. 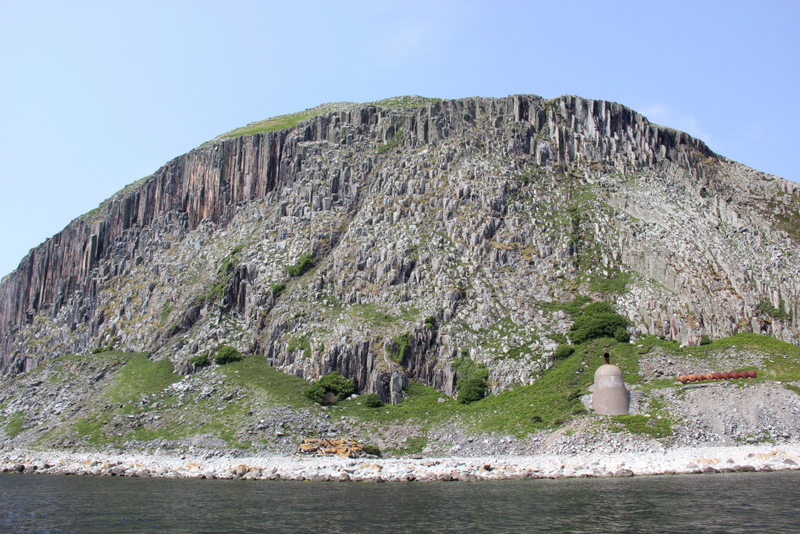 The microgranite of Ailsa Craig is apparently relatively rare with arfvedsonite and acmite. 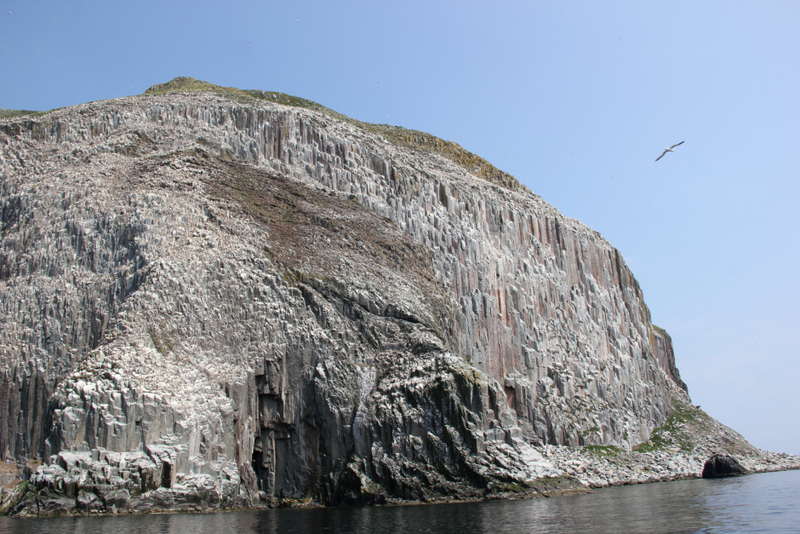 If you are interested in the geology of Ailsa Craig, lots of information can be found here. 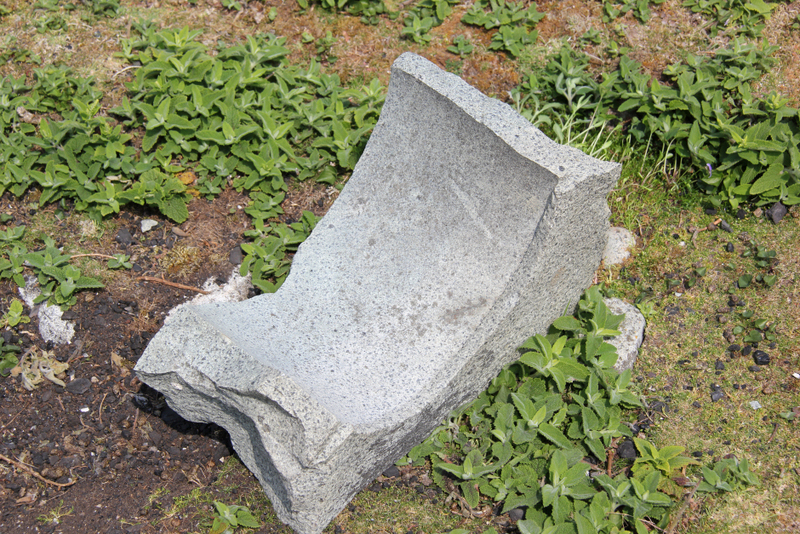 In the 1870s, fifty pairs of curling stones per year were exported annually. By 1890, this number had risen to 1,000 pairs per annum. 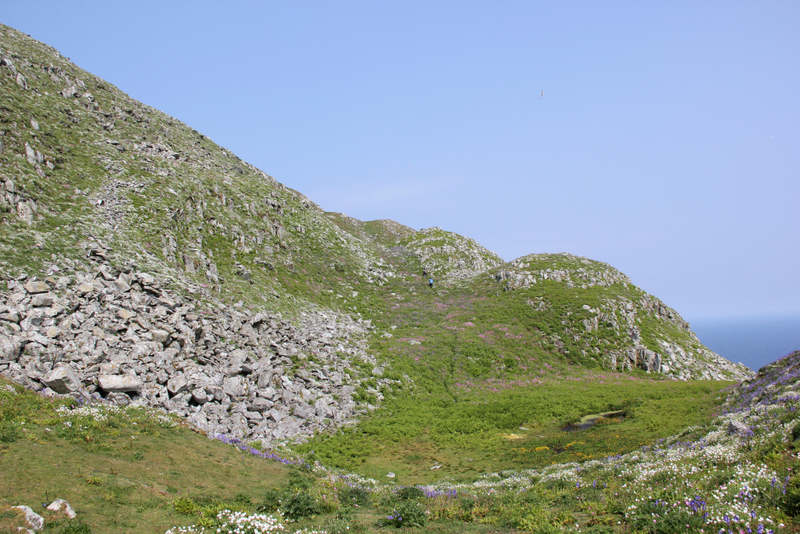 Two types of granite are normally used for Ailsa Craig curling stones, Blue Hone and Common Green. Anyway enough of providing some background information. 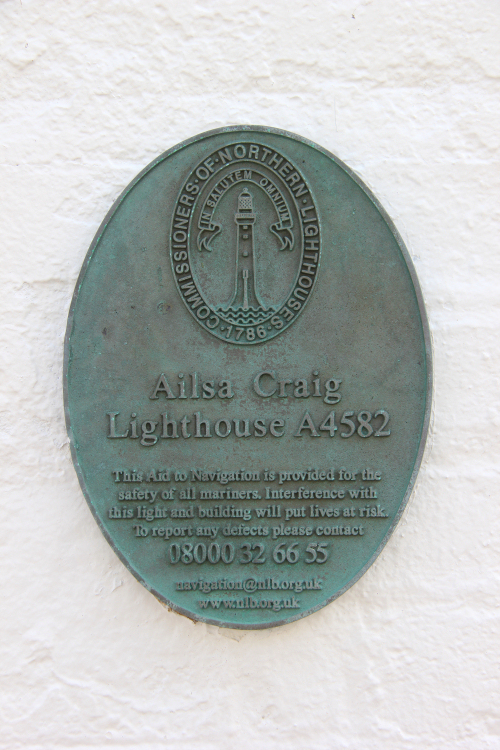 A couple of months ago, I put my name forward for a space on the boat to Ailsa Craig. 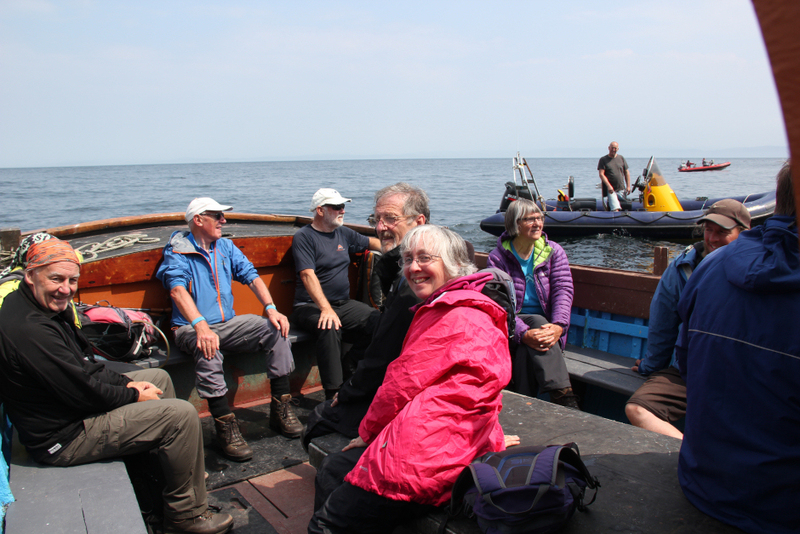 Boats were to be chartered for trips to Ailsa Craig and Great Cumbrie as part of the annual Marilyn-bagging get together. 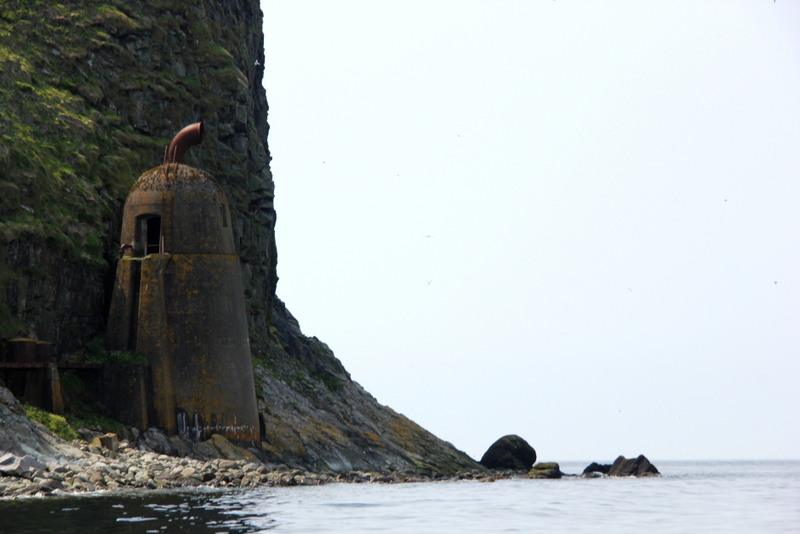 While I would not be attending the dinner (not my thing), I was keen to get to Ailsa Craig. Thanks to Rick for organising the boats. 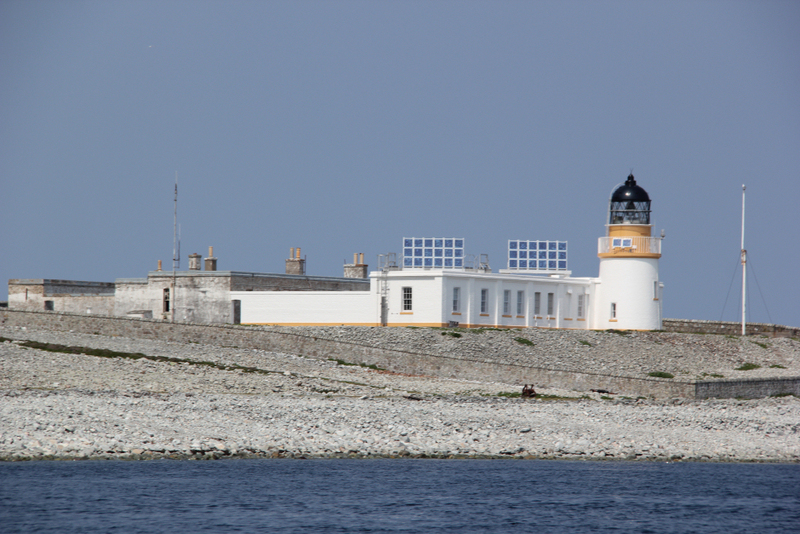 On Sunday morning, I left my base for the night in Stranraer to drive the 30 miles back up the coast to Girvan. 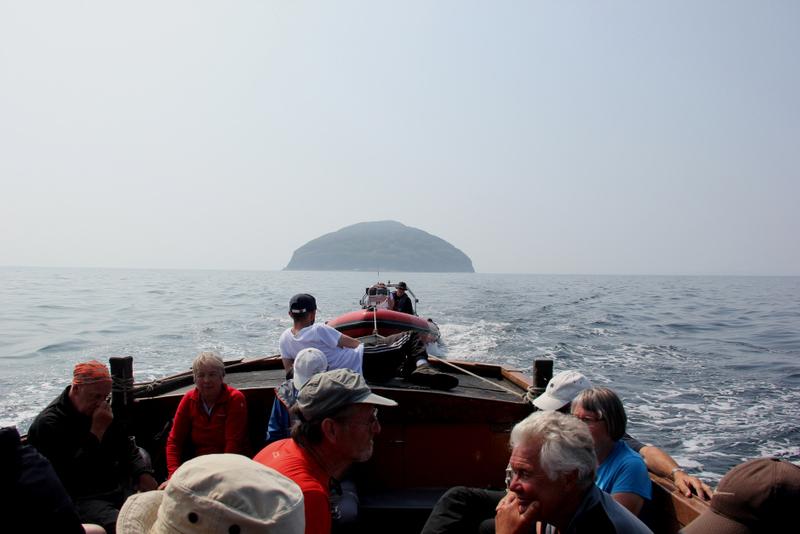 On arriving in Girvan, I met up with my friend John and ten others keen to visit Ailsa Craig. As we had a full compliment of passengers for the boat, the cost was a mere £25 for the return trip. A bargain! 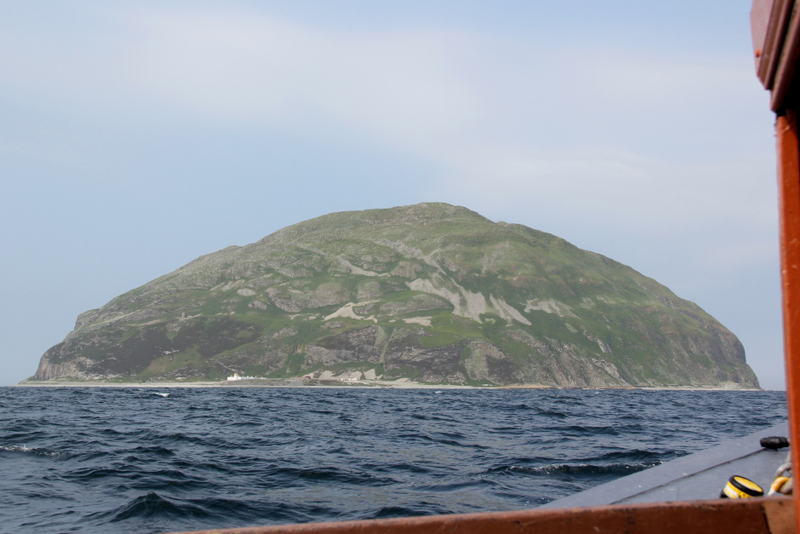 Once aboard the Glorious, we "set sail" for Ailsa Craig. The crossing was much rougher than expected. 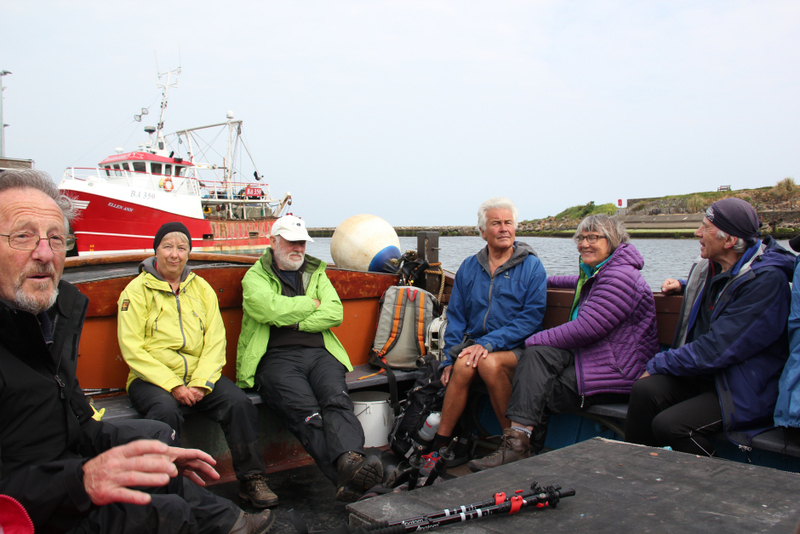 The relatively small boat swayed from side to side for pretty-much an hour as we undertook the ten mile crossing, splashes from the swell occasionally coming in over the side. 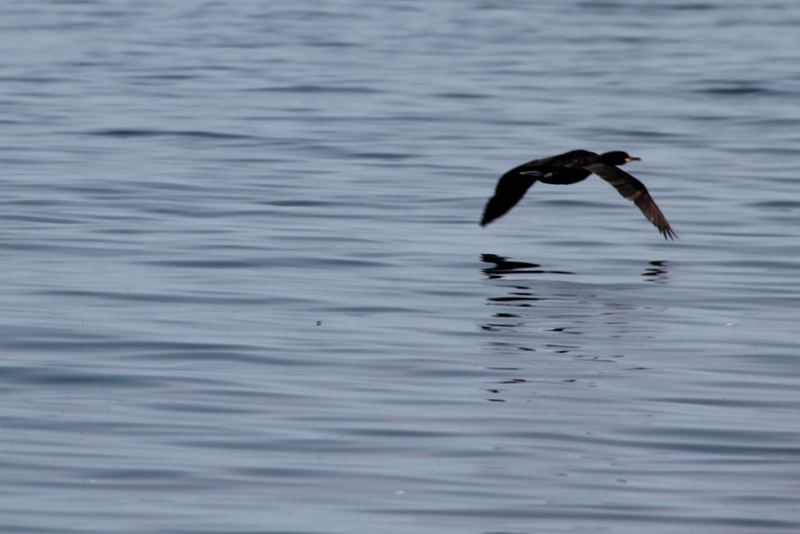 It was quite difficult to take photos with a horizontal horizon whilst aboard the boat due to the swell. 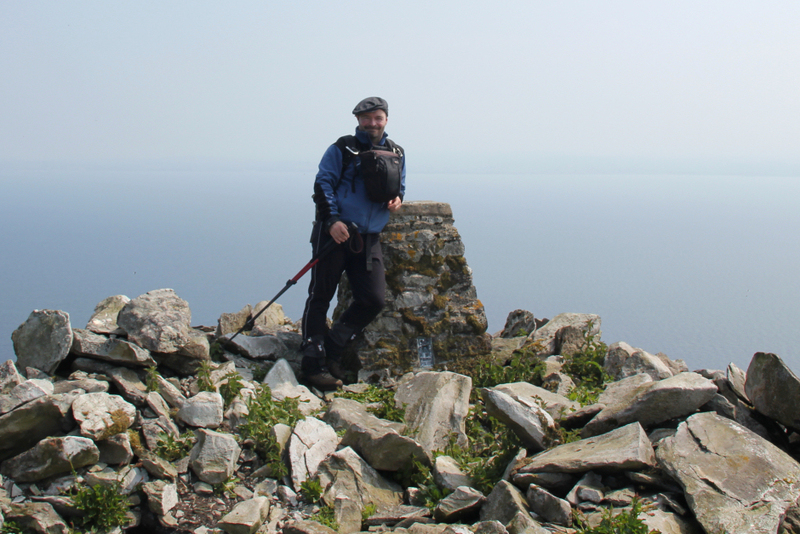 Prior to leaving Girvan, I took some painkillers for a knee injury I sustained hillwalking on Friday. This would hopefully get me up and down the hill. However, as I stepped off the boat, I slid on algae and banged my sore knee off a wooden post. Ouch! 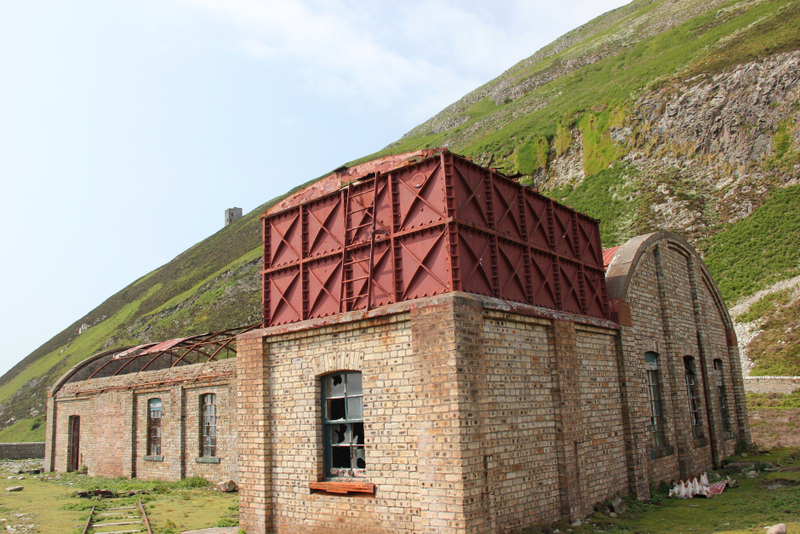 From the pier, John and I walked past the derelict gas works. 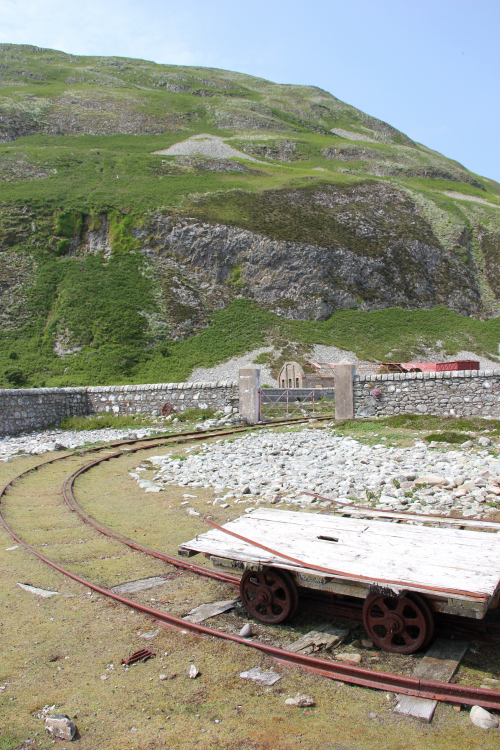 The nearby tramway was used to transport coal to the North Port. 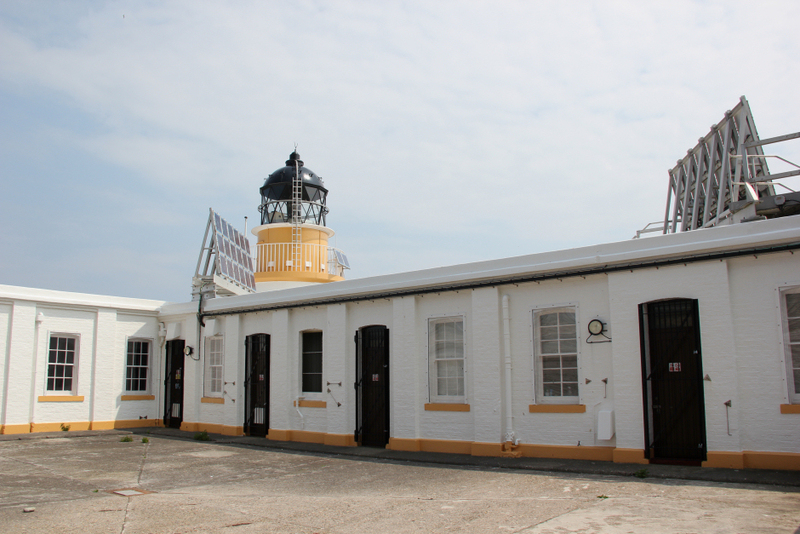 Until 1911, when the lighthouse was converted to run on electricity, coal gas powered the lighthouse. Beyond the gas works, we walked behind the small cottage used by the RSPB to find the start of the path heading up Ailsa Craig. 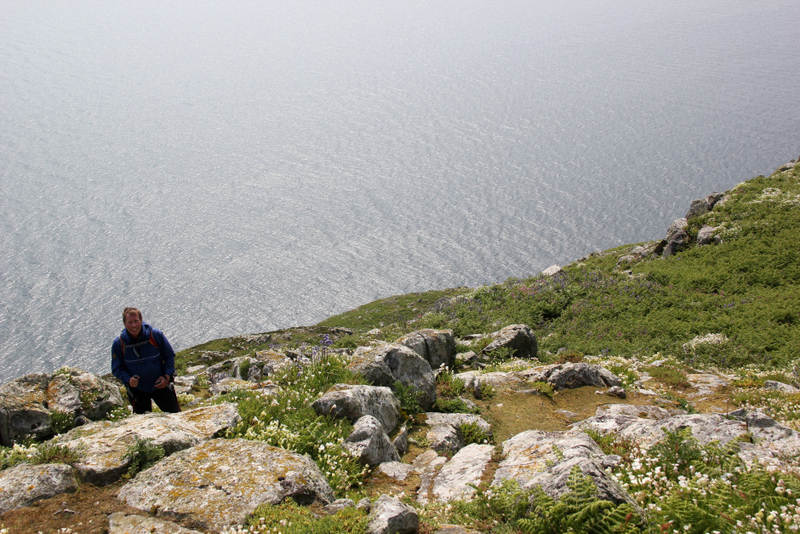 As far as I am aware, this is the only walking route up Ailsa Craig. The path is narrow, somewhat overgrown with bracken and heather and very exposed. 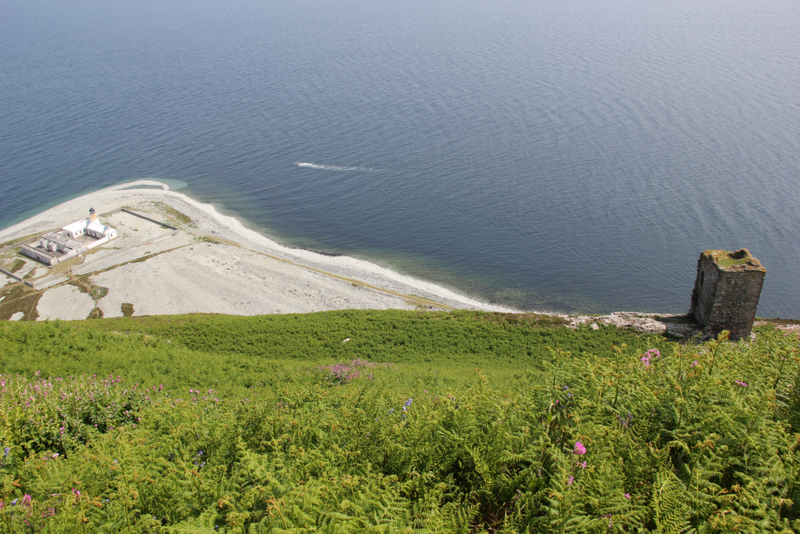 If you don't have a bit of a head for heights, you might not like ascending/descending Ailsa Craig. 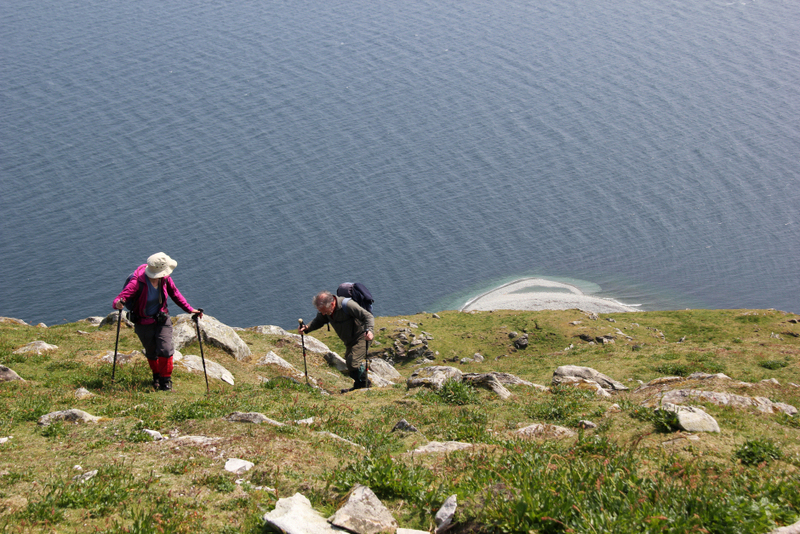 We took care during the initial ascent as the consequences of a slip/trip would not be good. 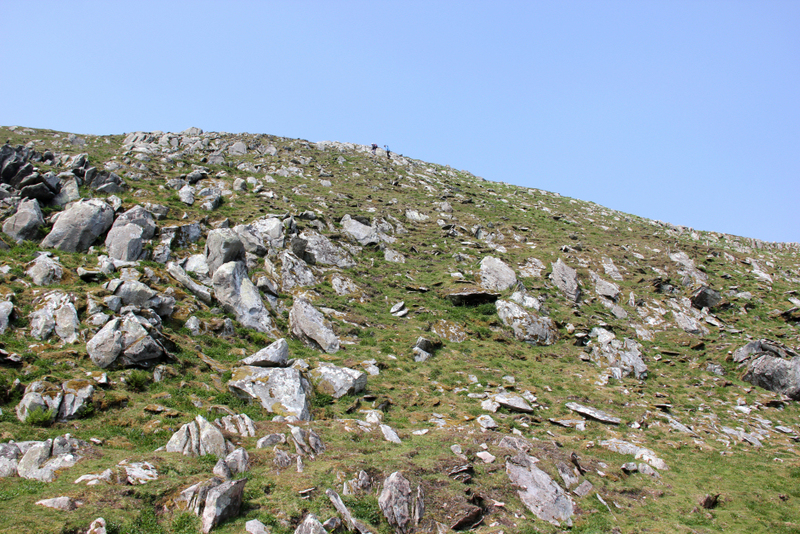 On switching back towards Ailsa Castle, the terrain becomes much wider and safer as far as the castle. 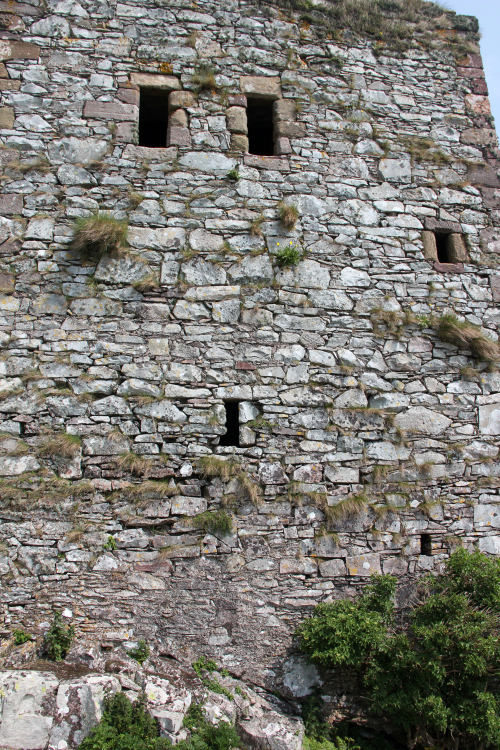 The castle was built in the 1500s by the Clan Hamilton. 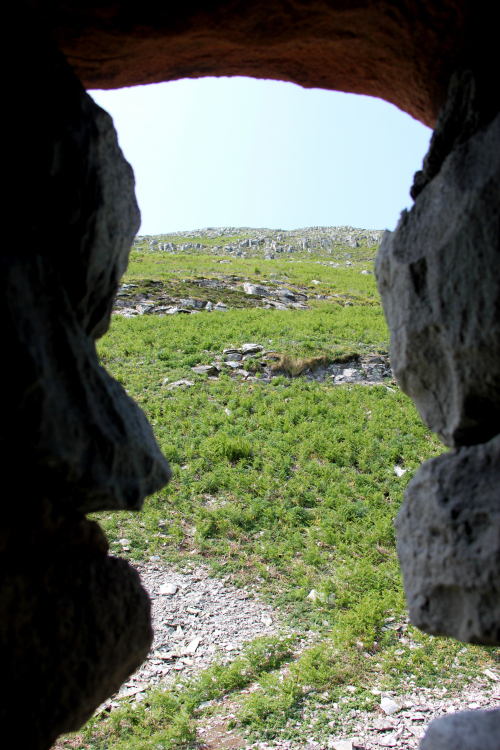 During the ascent, I decided to simply walk past the castle and have a closer look on the way back. 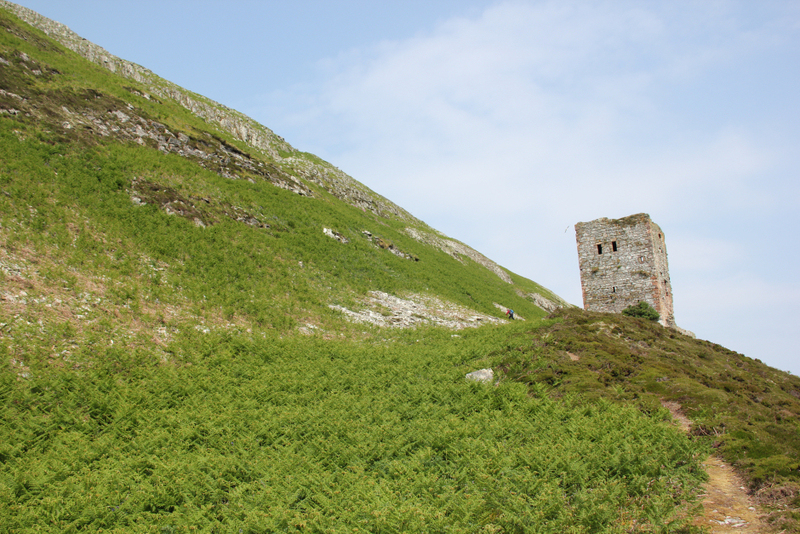 The section of ascent beyond the castle is the steepest and most overgrown. 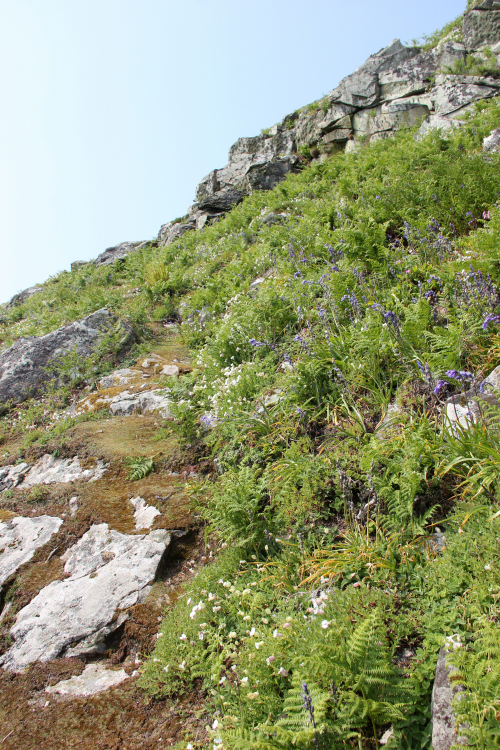 Standing on trampled-down bluebells is best avoided as they are very slippery. 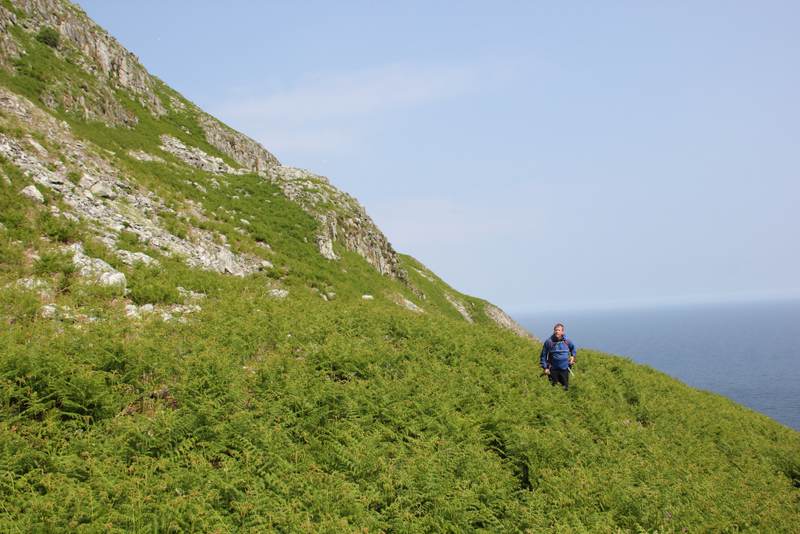 Beyond the steep ascent, there is a level section of path through bracken. 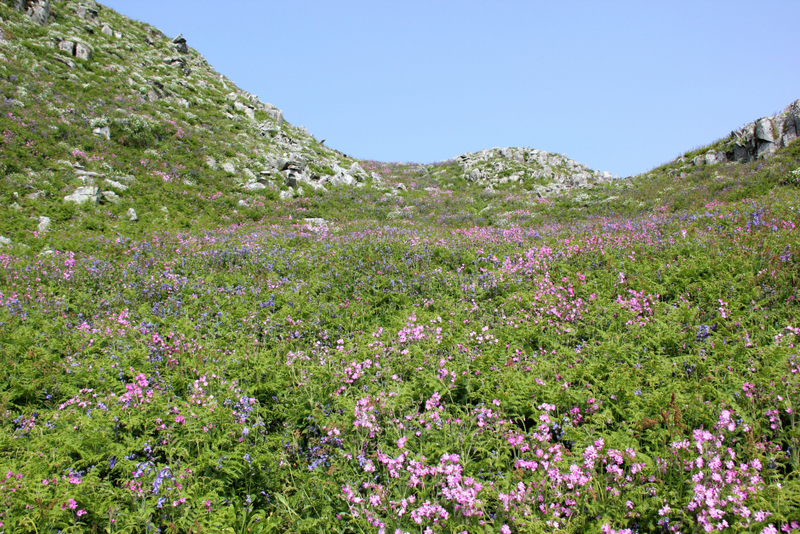 If you don't like walking through long bracken, probably best to head to Ailsa Craig in April/May. 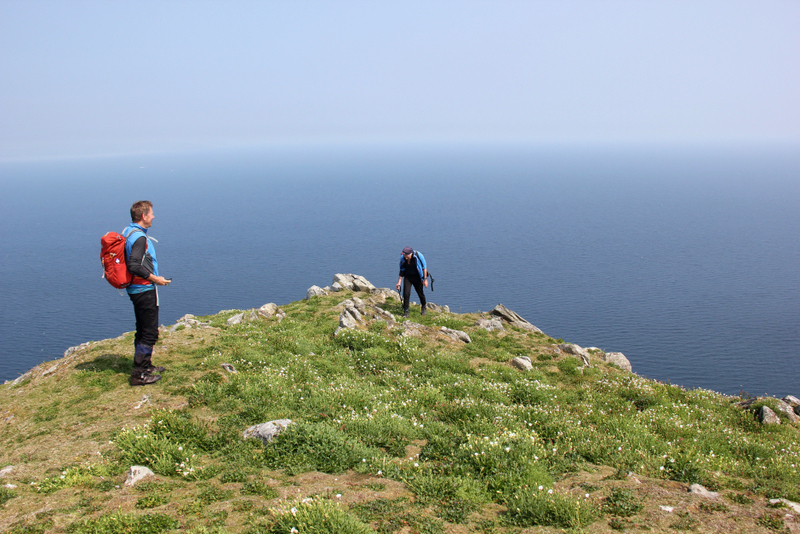 I reckoned the risk of ticks was fairly low as there are no sheep or deer on the island. 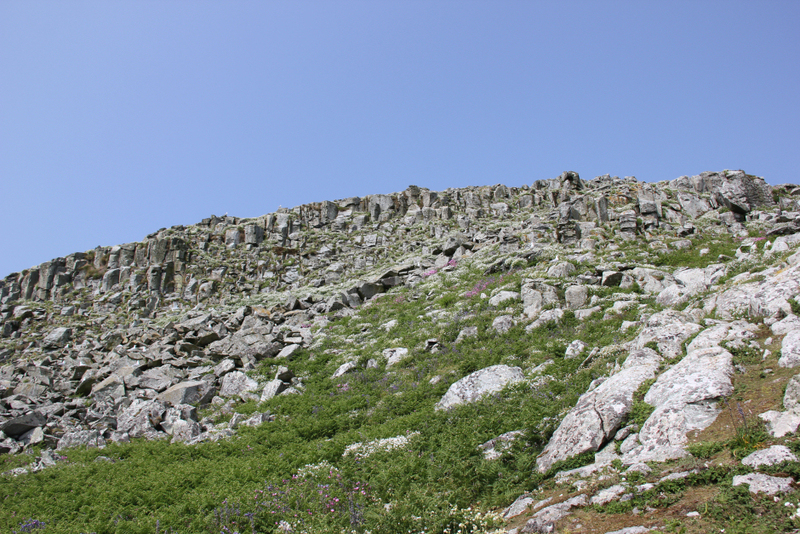 Beyond the horizontal section, there is another short steepish section. The going is nice and easy after this. 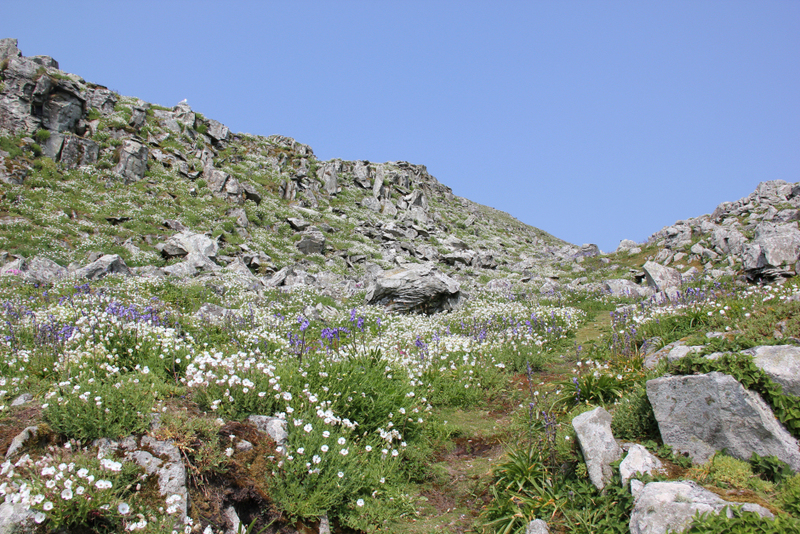 As we walked through lots of Sea Campion, Bluebells and what I think were possibly Cuckoo flowers, the resulting fragrance was lovely. 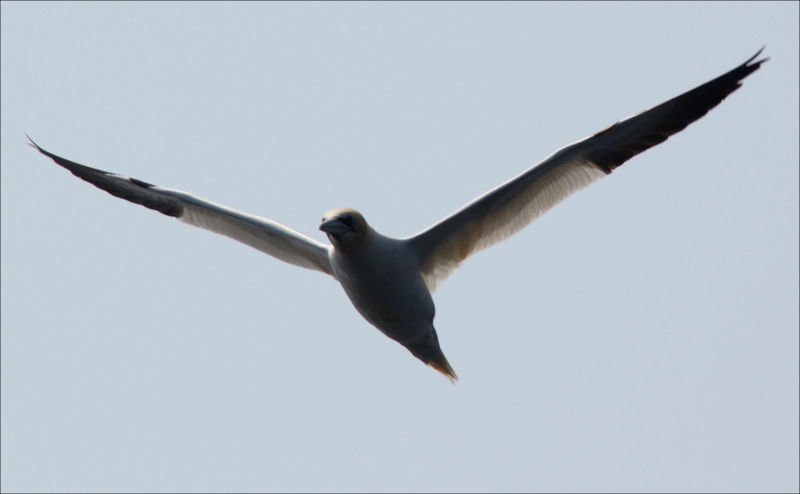 On the easier section, we passed countless gulls and a Rock Pipit. 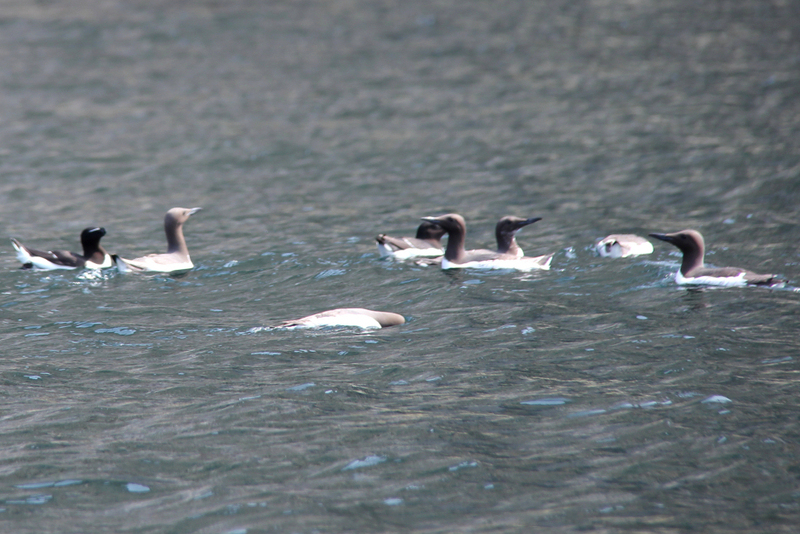 We also saw the remains of a gull and two rabbits which may have been killed by a raptor e.g. a peregrine. 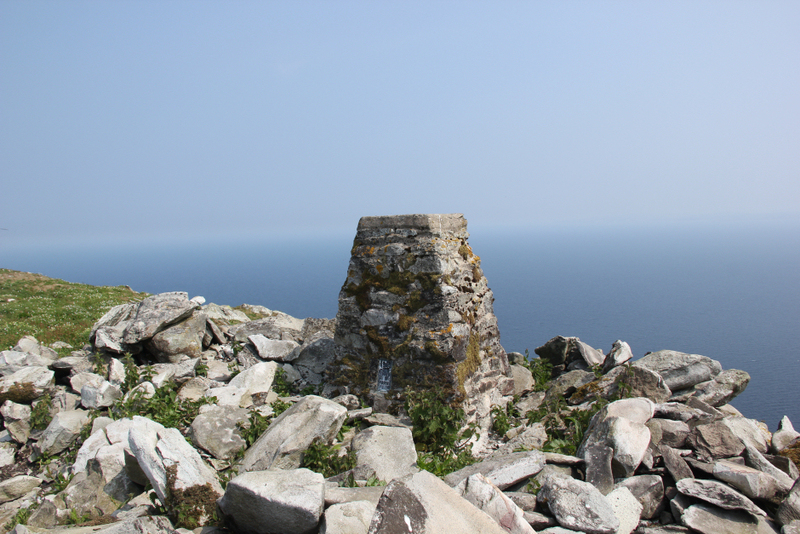 On reaching the trig point, we spent at least 30 minutes up there looking around, taking photos, putting on suncream, etc. Unfortunately, it was very hazy. 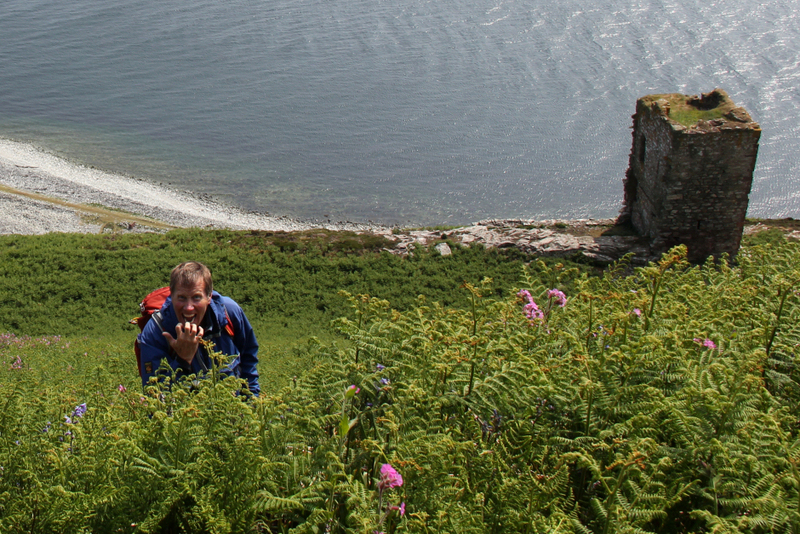 We could only just make out Arran and Holy Isle, both of which we visited in May 2015. We could not see Ireland. 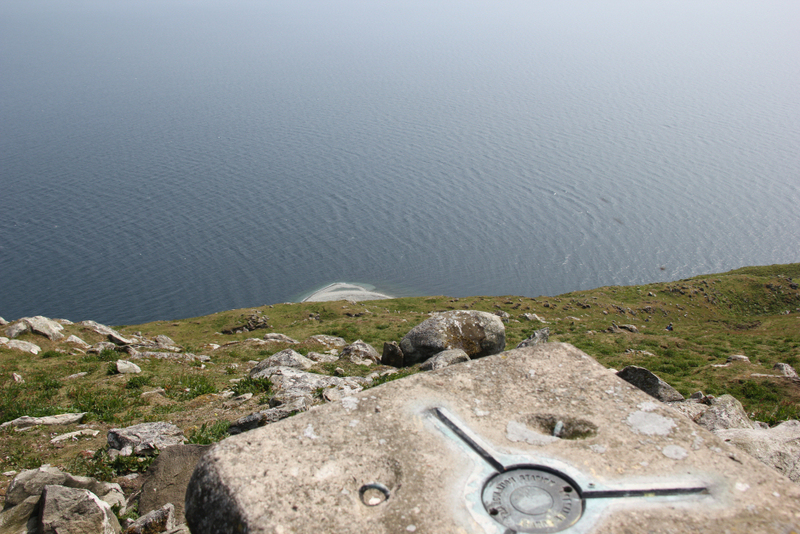 Ailsa Craig is affectionately known as "Paddy's Milestone". Once all of our party were at the summit, we made our way back down the hill. 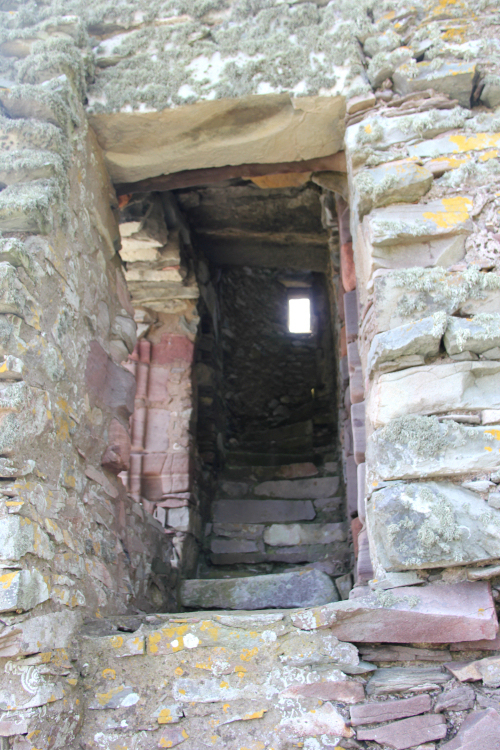 On reaching the castle, I had a look inside. 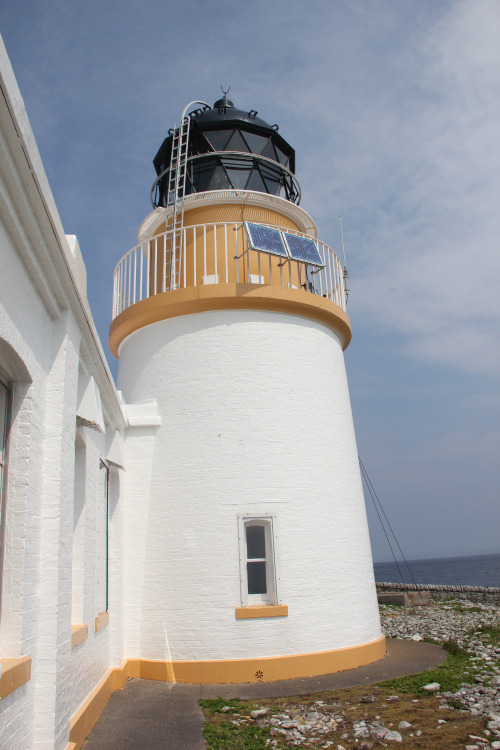 We then descended back to the shore and had a look around the lighthouse. 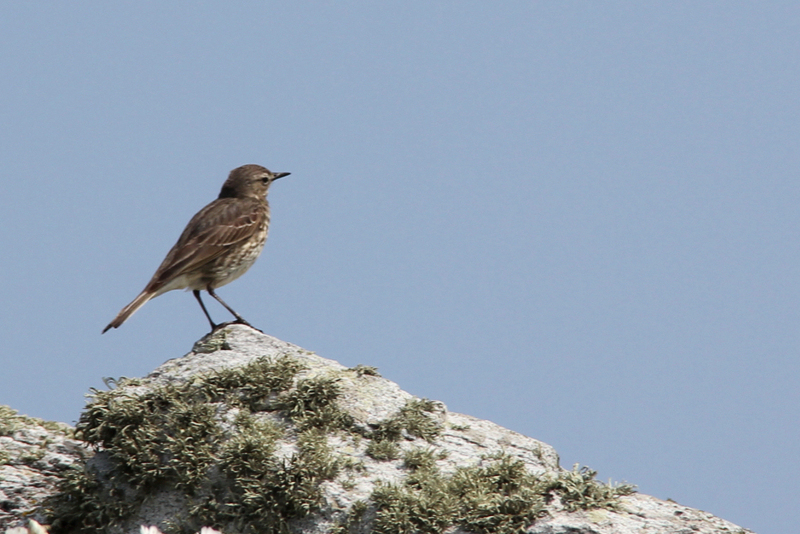 I then sat on the pier bird and boat watching for twenty minutes or so before our boat was due to return. 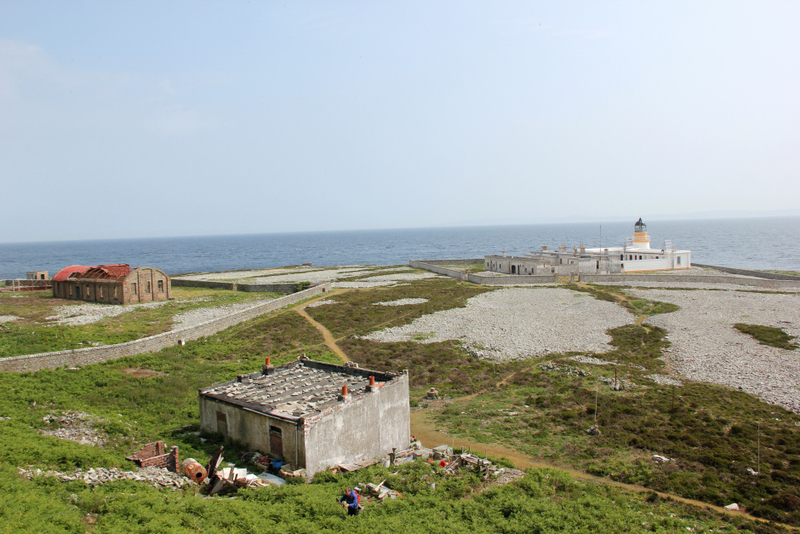 The best of Ailsa Craig was yet to come. 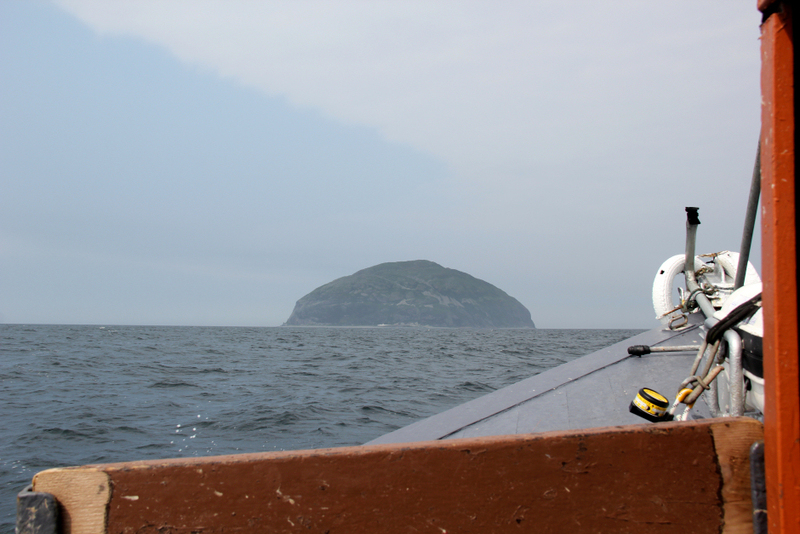 If visiting Ailsa Craig you must sail round the rear of the island. 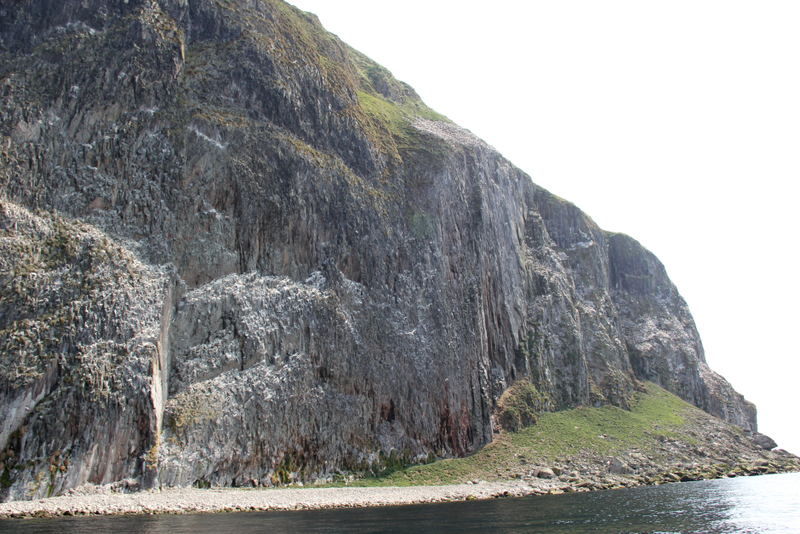 The cliffs on the farside of the island are very impressive. 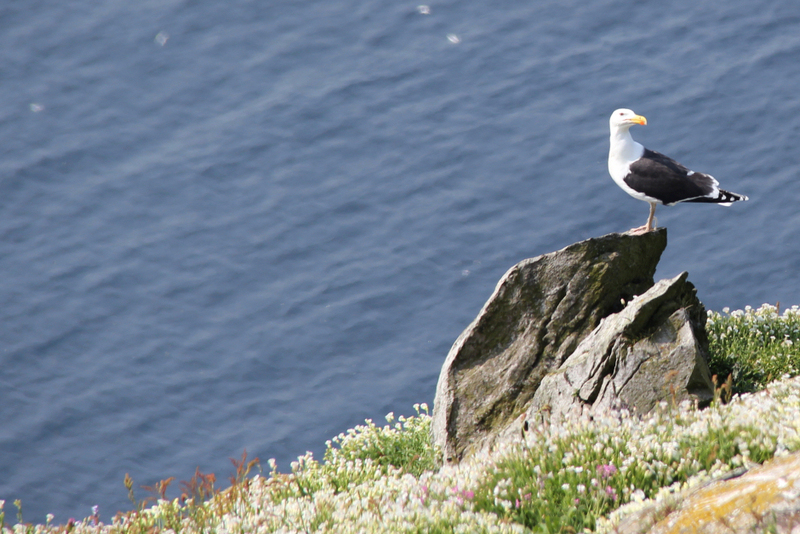 I have previously visited the cliffs on Foula in Shetland and have visited St. Kilda. 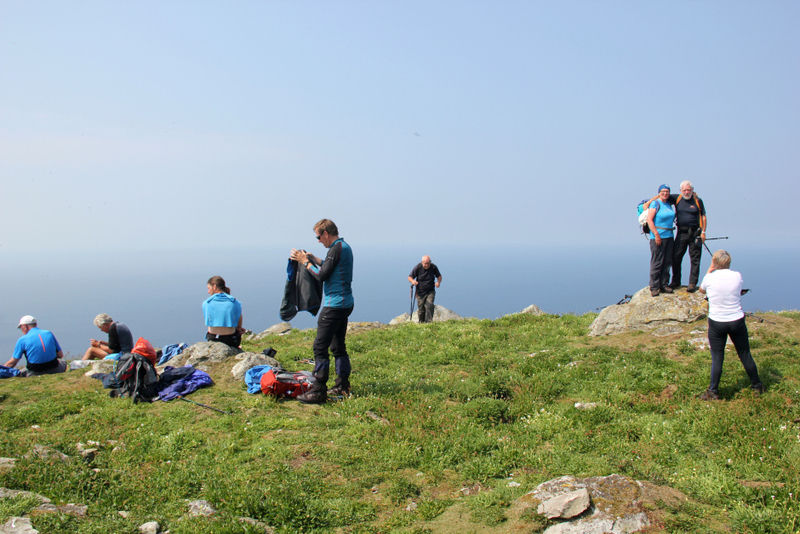 The cliffs at the rear of Ailsa Craig are every bit as good! 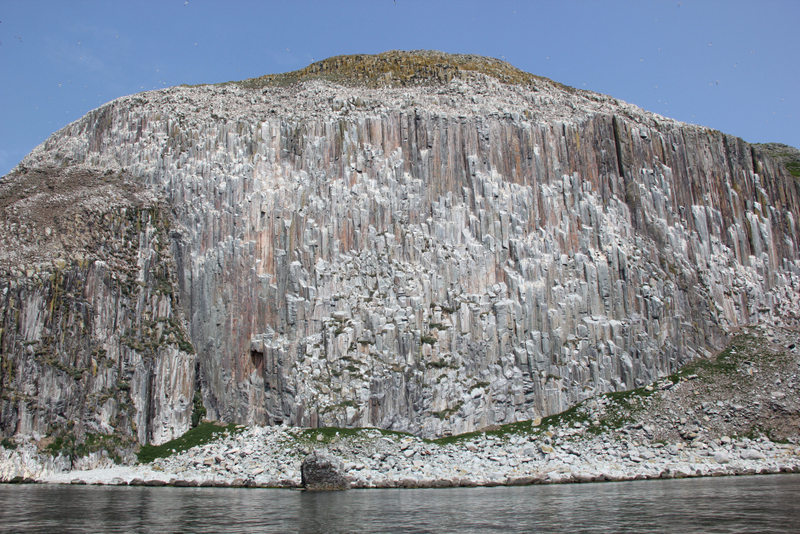 During our sail round the island, I spotted countless Gannet, Guillemot, Cormorant and Puffin. 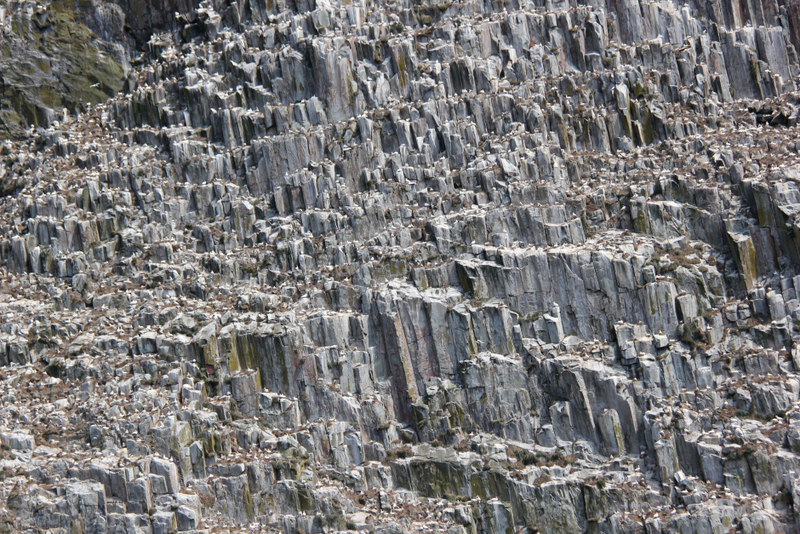 The gannetry on Ailsa Craig is apparently home to 36,000 pairs of gannets. 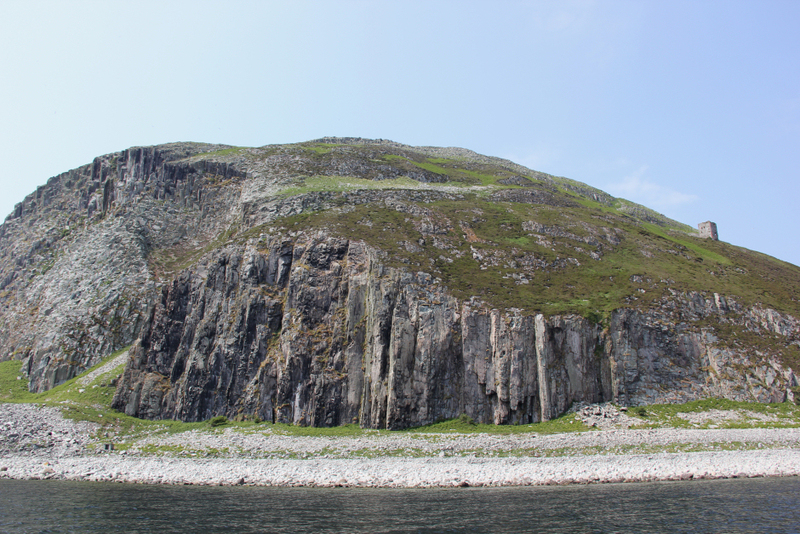 As I couldn't fit the whole of Ailsa Craig into a single photo, I took a few photos which I joined up at home using Autostitch. The smiles on everyone's faces said it all. Only the Stacs at St Kilda top this. 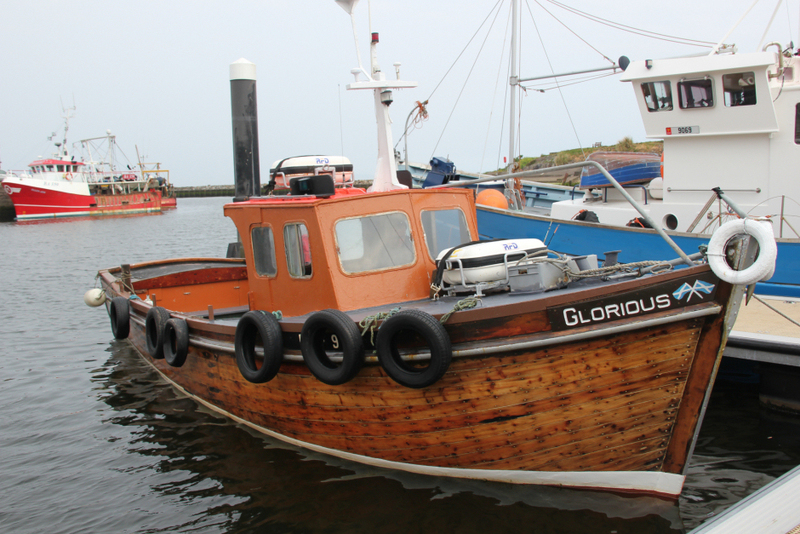 On returning to the pier, our captain agreed to tow a broken-down RIB back from Ailsa Craig to Girvan. This meant we had five extra passengers on board and two dogs, so it was cozy. 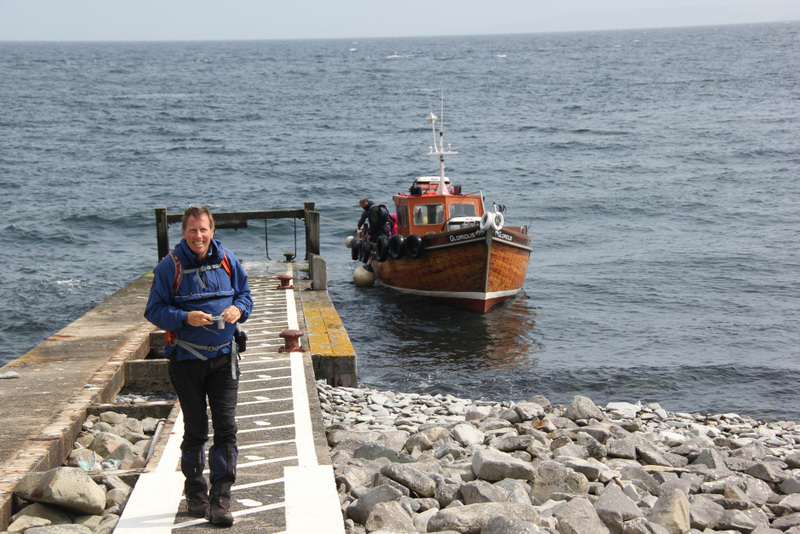 The drag of towing the RIB meant the return journey took one hour longer than expected but who was caring. 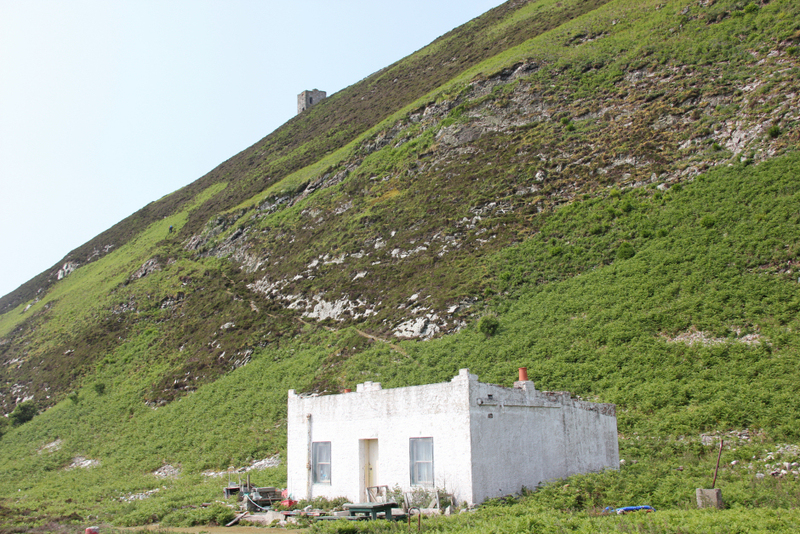 If you get the opportunity to visit Ailsa Craig, take it.